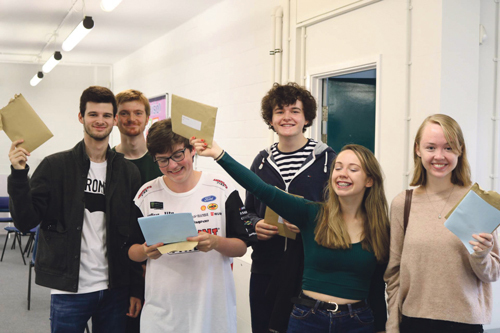 The North Bristol Post-16 Centre is extremely pleased with this year’s A level and BTEC results, which reflect two years of hard work and effort by students and staff. The Post-16 Centre is a comprehensive collaboration between Cotham and Redland Green Schools which operates in partnership with Fairfield High School, Henbury School, Orchard School, and Oasis Brightstowe Academy to provide sixth form education for students from those schools. Of the A level entries 54.5% achieved a B or above, with 39 North Bristol Post-16 Centre students achieving three or more A/A* grades, whilst three quarters of BTEC students achieved a distinction or distinction*. Young people who studied mathematics, physics, film, French, history and sociology at the North Bristol Post-16 Centre have done exceptionally well, with more than 65% of students in these subjects achieving a B grade or higher. Students have also been very successful in enhancement courses which are studied alongside their main BTEC or A level courses. These include the Level 3 extended project, Pre-U Global Perspectives Research, and the new one year core mathematics qualification. Results in these courses have been a real highlight, and demonstrate the breadth of experience on offer at the North Bristol Post-16 Centre. Over 250 North Bristol Post-16 Centre students will be taking up a place at university, with 87% heading to their first choice institution and 55% moving on to a Russell Group establishment. Special congratulations go to ten students who take up their places at Oxford and Cambridge universities, and to a further seven who move on to medical school. Other centre students have taken up places on higher level apprenticeships, art foundation courses or are pursuing employment opportunities in a diverse range of settings. 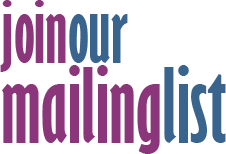 Assistant Headteachers Owen Tiplady (Redland Green School) and Aimi Potter (Cotham School) said: “This group of students have been massively conscientious and resilient, and we are very pleased that their hard work has paid off. Students have made excellent progress this year, and we are immensely proud of them.